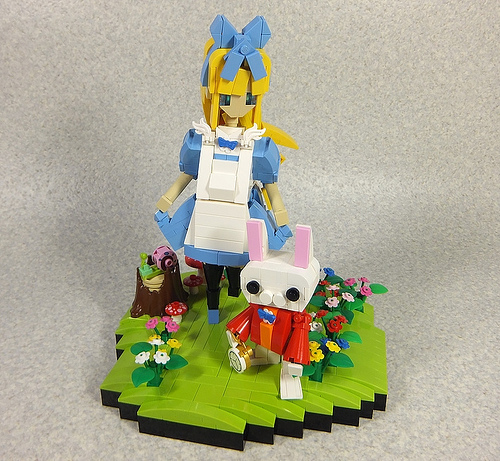 Moko claims never to have read Alice’s Adventures in Wonderland (as it so happens, I’m reading it right now), but that doesn’t stop him from building a wonderfully evocative version of Alice and the White Rabbit based on nothing more than a few image searches on the web. Moko says that Alice’s hair was especially hard and that he had to rebuild it a couple times. The extra effort has certainly resulted in some naturally flowing hair.